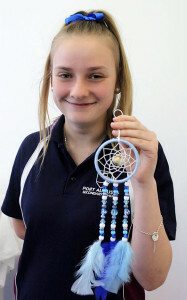 Creativity has been flowing for students in the HEALS program in the YES Centre this term. 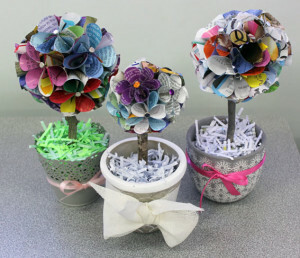 Students have been working on several different projects, including making magazine flower topiary trees and dream catchers. A lot of patience and some new skills were learned to create these projects. ABOVE: One of many dream catchers she made in the HEALS program and a selection of magazine flower topiary trees made by YES students.